Soaring high about the rest, the K65 Low Back Kitchen / Bar Stool was designed by Alvar Aalto in 1935 and is still standing strong today. The timeless design and durable construction is responsible for this seemingly immortal design. 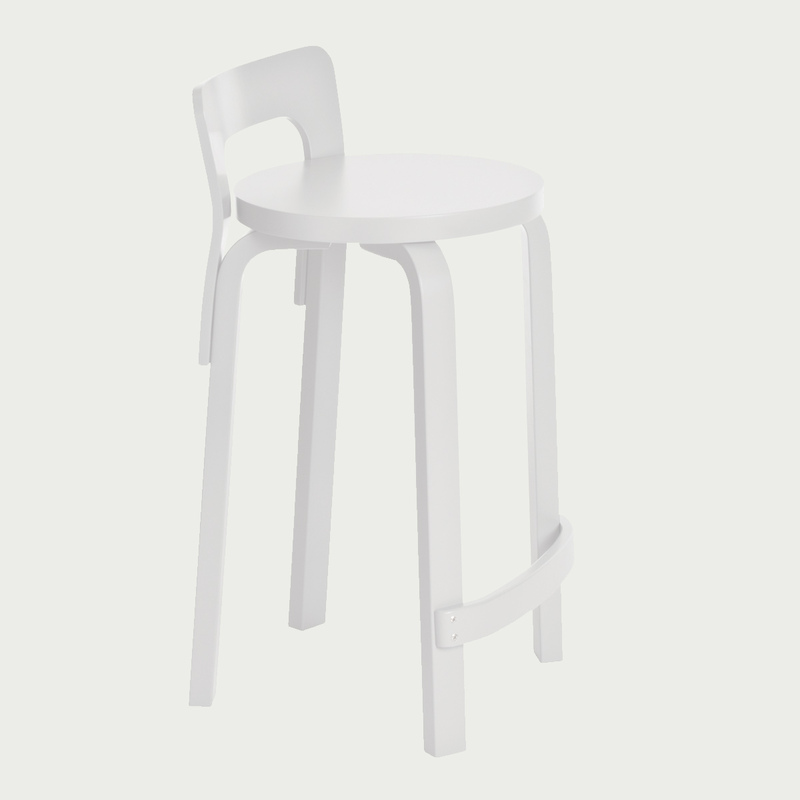 A twist on the traditional bar stool, this model adds just enough back support not to overwhelm the minimal design. It features Aalto's patented, signature L-shape legs and a lower band to rest your feet on. 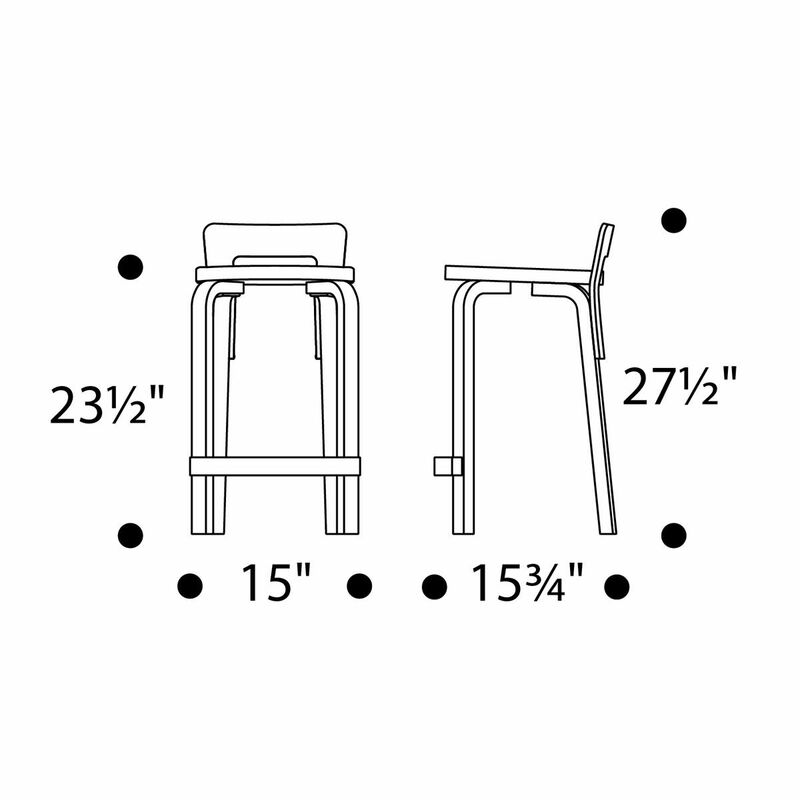 Nothing but the essential components, the Artek Alvar Aalto K65 Low Back Kitchen / Bar Stool in White Lacquered is standing proof that less really is more.Please review our Shipping Information page before ordering.